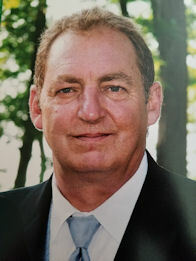 Barry A. Vrbancic, 66, of Amherst, died Monday April 30, 2018 at Mercy Regional Medical Center in Lorain after a short illness. He was born March 27, 1952 in Lorain and had been a lifelong Amherst and Lorain resident. Barry graduated from Lorain High School in 1970 and attended Bowling Green State University where he earned a Bachelor Degree in Education. Later, he earned his Master’s Degree in Education. Barry taught math at Whittier School in Lorain retiring in 2013 after 35 years. He was also fluid in the French language from his studies abroad during high school. He loved music and played the drums as a teenager in a wedding band. He enjoyed sports cars, skiing, bowling, golfing, traveling and boating at his Willard Lake house. He is survived by his wife of 44 years Jeanne Vrbancic (nee Skarupa), daughter Cali Thomson (John) of Amherst, son Marc Vrbancic (Jennifer) of Amherst; grandchildren: Joli Thomson and Evan Thomson; brother Victor Vrbancic of Amherst and sister Susan Crawford (David) of Avon Lake and numerous nieces and nephews. He was preceded in death by his parents Victor & Elizabeth Vrbancic (nee Kirvan).